One student’s academic disqualification experience left her discouraged, confused, and convinced that the policy must be changed. A student at UC San Diego is subject to academic probation if their quarter or cumulative GPA falls below the 2.0 threshold. If their GPA falls below 1.5 or if their cumulative GPA remains under 2.0 after two quarters of being on academic probation, they’ll be academically disqualified. But for senior Michelle Hipp, a biochemistry major from Thurgood Marshall College, the circumstances of her academic disqualification were not so black-and-white. As she single-handedly financially supported herself throughout her first year as an undergraduate, Hipp’s busy schedule meant that she struggled in her first few quarters of classes. She was placed on academic probation and academically disqualified shortly afterward. Her experience has convinced her that the academic disqualification policy at UCSD needs to be changed, for the sake of its students. After graduating high school in San Diego, Hipp had moved out of her father’s home, begun classes at community college, and worked various odd jobs in order to support herself. She planned her classes so that they all fell on two days of the week— this way, she could work the rest of the week. Hipp had begun community college as a visual and performing arts major, but soon decided to switch her major to something more “realistic.” Knowing she wanted to remain in San Diego, she decided to dip her toes into one of the region’s most lucrative industries: biotechnology. She changed her major to the high-unit biochemistry. After taking the classes necessary to transfer to a University of California, Hipp applied to various UC campuses and was accepted into UCSD, her dream school. After going through some emotional struggles the summer before starting at UCSD, Hipp kept busy to distract herself once school started. She started an informal dog-walking business and began an internship at the prestigious J. Craig Venter Institute. After hearing her provost stress the importance of joining student organizations at orientation, Hipp acquired a leadership position with the Villagers in Programming and even started an edible community garden at The Village at Torrey Pines. Yet her grades suffered under the burden of her many obligations. Hipp holds that her academic disqualification resulted from the larger problem that she didn’t have the financial security necessary to dedicate time to her grades. Though her financial aid paid covered tuition and living expenses, most was used on her housing at The Village. She had to work in order to cover her other living expenses, so her grades faltered. She appealed her disqualification, explaining her situation, but to no avail. Determined to be readmitted, Hipp was willing to take the required year off from UCSD and take classes elsewhere. In the meantime, she had no place to live, having been notified that her appeal was rejected in July after her first year at UCSD. She tried looking for a place in a women’s shelter, but was unsuccessful, so she moved to the east coast to live with her sister and take community college classes online. Her newfound free time meant that her grades were nearly perfect, and she returned to UCSD after her year away. This time, Hipp found the Basic Needs program, which connected her to a caseworker to help her find housing and receive food stamps, which eliminated some financial worries. But her overall experience left her even more financially burdened than she was to begin with. Hipp feels that her entire situation wasn’t considered when the decision was made to academically disqualify her. It’s a numbers game, she stresses, which doesn’t factor in any part of a student’s life other than their GPA. Hipp questions what benefit academic disqualification is meant to achieve. She is firmly convinced that the academic disqualification itself needs a significant revamping. For now, she holds that the policy seems to be an attempt at a deterrent for academically disqualified students to return to school. 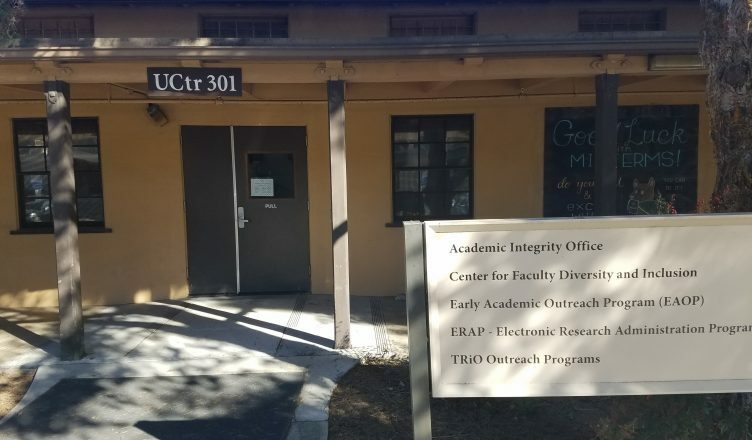 Hipp made attempts to communicate with her provost about her academic disqualification: she wished to discuss why she felt the academic disqualification policy was unfair and to explain why her financial circumstances had affected her academic performance, but her attempts have been met with curt response. Hipp is clearly an ambitious, organized, and hardworking individual, and she once had dreams of getting her doctorate and working in academia. But now, she’s discouraged. She feels that UCSD, and her college, Marshall, are failing to demonstrate the values they claim to emulate and even the very person they strive to represent. Most of all, Hipp feels there needs to be a more prioritized and genuine care for students, including those who are academically struggling. She understands the nature of a large public university, but she feels that there should be some concern for a student’s well-being when it comes to the decision to academically disqualify them, rather than focusing solely on their GPA number. Hipp has now returned to school at UCSD and is getting good grades, now that some of her financial burden has been lifted. She plans to finish out her senior year, and she’ll have to take a few extra classes next year to complete her degree. But she still feels that her situation could have been handled in a less discouraging way.